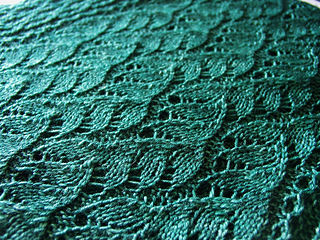 Using the suggested yarn and needles, the blocked and relaxed shawl was 72"x21". 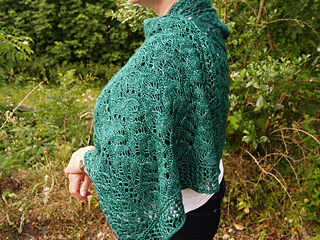 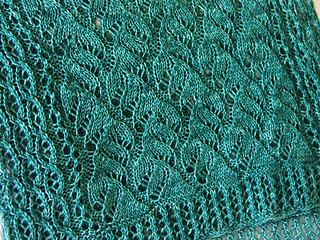 ’Selkie’ is a knitted lace wrap, featuring a drifting kelp/fin stitch pattern for the main body, with cabled, helical openwork along the long edge, and openwork end borders. 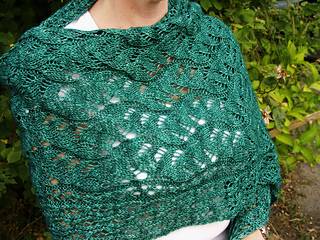 Purl channels between the kelp strands, the raised cabled openwork, and the use of cross-cutting decreases in the kelp give the wrap a sumptuous textured, three-dimensional feel. 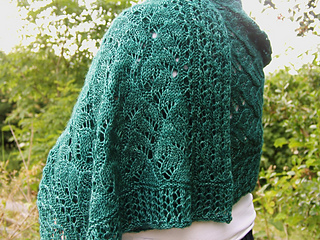 It’s knitted on both sides, including purling through the back loops of stitches and some cabling, hence not a mindlessly easy shawl. 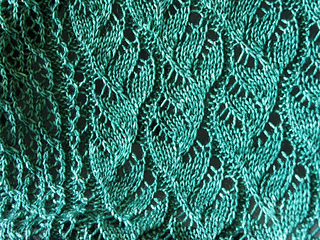 However, the pattern isn’t significantly challenging, is very rhythmic, and is a satisfying and interesting knit. 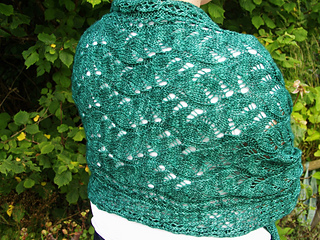 It requires three skeins of DK, or more if you want a larger shawl. 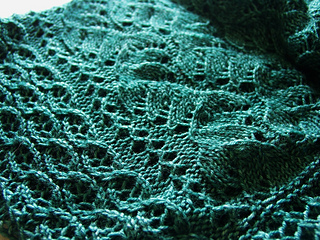 It’s currently being test-knit with a couple of skeins of 4-ply on 4mm needles, which would result in a narrower shawl. 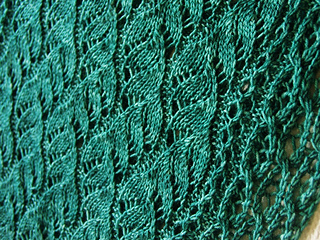 I’ll keep you posted, and update the pattern once it’s complete. 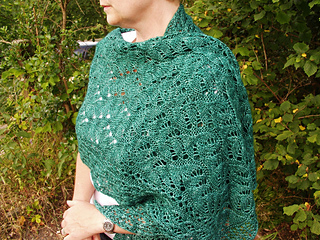 There’s a support and discussion thread here in the Triskelion Yarn group. 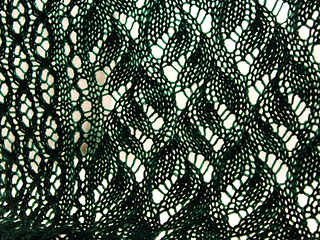 Currently, the pattern is charted only, but written instructions are being checked now.